The Fairfax County Republican Committee urges county Republicans to voice their opposition to Democrats’ extreme abortion positions by attending a pro-life rally and a town hall meeting held by Delegate Kathy Tran and other Democrat elected officials scheduled for 12:00 PM and 1:00 PM respectively on Saturday, February 2, at South County High School in Lorton, VA.
After her comments the Republican majority on the subcommittee voted to table the bill. Not one Democrat voted against the bill. The Tran-introduced bill coincides with extreme pro-abortion comments made by Virginia Governor (and medical doctor!) 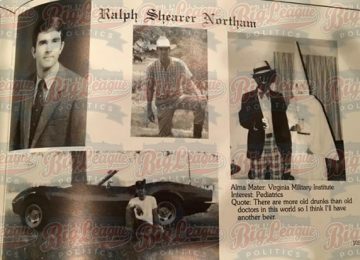 Ralph Northam this past week and the recent adoption of a law permitting late-term abortions of babies capable of living outside the womb by Governor Andrew Cuomo and the Democrat-led legislature of New York State. These actions and comments strip away Democrats’ longstanding deception regarding their stated concerns about the health of the mother and baby. They have now revealed their true intentions: killing unwanted babies. The name for this barbaric practice is infanticide. As Republicans — and civilized Americans — we cannot afford to allow such barbaric practices to take hold in our county and state. House District 42 includes 18 precincts from Fairfax County. We must challenge and eradicate this extremism in our own backyard. Numerous groups, including SBA List, Live Action, the Family Foundation Action, Concerned Women for America LAC, Students for Life of America, and Young Women for America, have planned pro-life rallies before the town hall meeting starting at 12:00 PM. Again, we strongly encourage Fairfax County Republicans to attend the pro-life rally and town hall meeting on Saturday. We must send a resolute message to our elected officials that we will never accept public policies that embrace the primitive savagery of infanticide.